Beauty News: Etude House Flash Sale This Weekend!!! 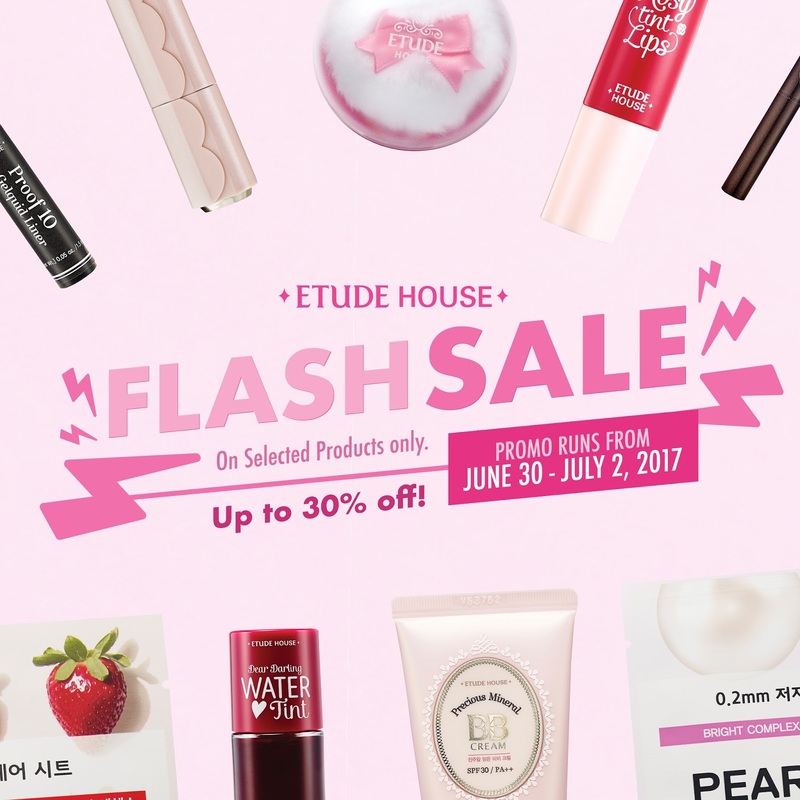 Score up the best beauty deals at Etude House Philippines’ FLASH SALE! Starting June 30 to July 2, shop more items and get bigger discounts! 1 item entitles you to a 10% discount, 2-3 items for 20% discount and purchasing 4 and above items gives you 30% discount! Choose from over 700 products and stock up on your most coveted beauty staples! On June 30, from 10AM to 1PM, Pink Cardholders will get a privilege to get the first dibs on Etude House Flash Sale. 1PM onwards will be open for all. Invite your clique and see you there! *This promo applies on all Etude House Philippines stores nationwide excluding Department Stores.